Advances in the digital age continue to transform how markets operate, and the insurance industry is no exception. As Reinsurance Group of America (RGA) takes on more and more business, generating $12.5 billion in revenue in 2017, a subsidiary of the company — known as RGAX — has had exceptional growth thanks to the work of vice president of global technology solutions Holly Reinen. A 43-year-old St. Louis native from Jefferson County, Reinen has expanded the depth and breadth of RGAX’s technical capabilities through rapid prototyping and testing, vendor integration and product-specific pilot programs. Reinen has been especially useful following the acquisition of LOGiQ3 Group, an acquisition that quadrupled the size of RGAX, according to Mark Showers, managing director for the national portion of RGAX and chief solutions officer of RGAX. Showers explained that Reinen was promoted to her current position shortly after the January acquisition and has been instrumental in both tactical responsibilities and broader strategic decisions. Showers credits part of Reinen’s success to her multidisciplinary background. After getting her degree in computer management information from Central Missouri State University, Reinen worked in application and software development at Genelco Software Solutions and Edward Jones. She joined RGA in 2005 and has progressed from software development into project and program management. She joined RGAX when it was founded in 2015 and has watched it grow from a “small, U.S.-focused startup” to a global organization. In addition to leading the implementation of RGAX’s multi-market strategy on a global scale, Reinen has led charitable efforts within the enterprise. As the RGAX representative for the company’s American Heart Association fundraising campaign, Reinen has helped organize and facilitate events to support the organization. Reinen knows that women are underrepresented in the world of technology. 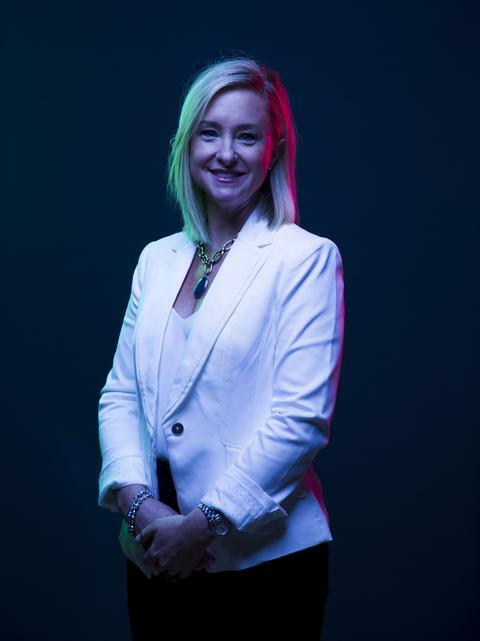 However, she said RGA is no stranger to female empowerment — given the inspiring female leadership in the positions of CEO and CIO, filled by Anna Manning and Suzy Scanlon, respectively — and Reinen believes that this support has allowed her to excel. In addition, Sandi Hubert is the COO of RGAX. In addition to her daughter, Reinen and her husband also have a son. She said her primary focus outside of work is her family, with whom she loves to spend time with outside biking and swimming.